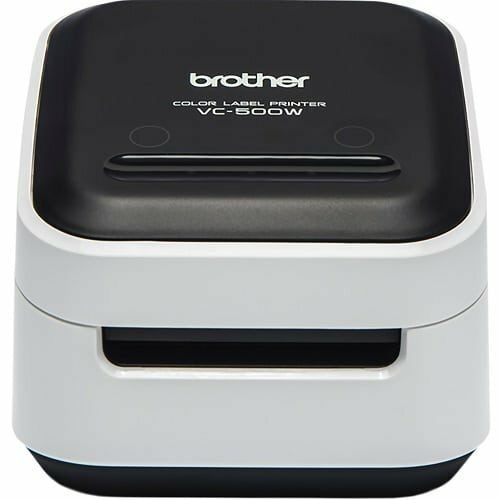 The new Brother VC-500W Label Printer is a revolutionary new full colour label printer from Brother capable of printing labels from 9mm to 50mm wide. 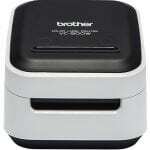 Now you can print full colour signs and logos, banners, photos and much more on a desktop label printer. Powered by ZINK® Zero-Ink® Printing Technology, the VC-500W secret’s hidden in the label rolls. Special colour crystals in the paper are activated by heat to create full colour labels without the need for additional ink cartridges. No ink means you save money, and makes the printer incredibly compact too. Available in five different widths, Brother label rolls use ZINK® Zero-Ink® printing technology to produce full colour labels without ink or toner cartridges. Simply slot the roll into the back of the printer to create labels for many applications around the office. 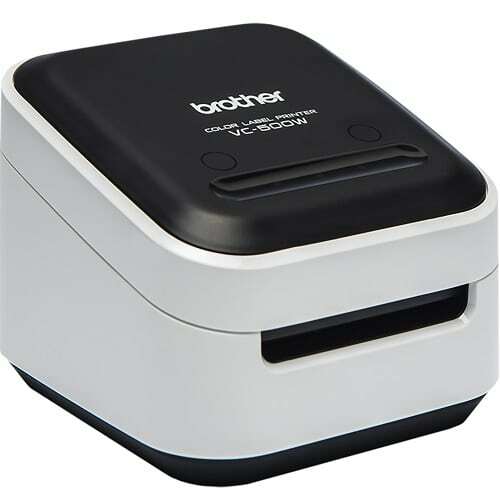 Brother Colour Label Editor app connects to the VC-500W using the Wi-Fi connection in your smartphone or tablet, available from both Android and iOS. 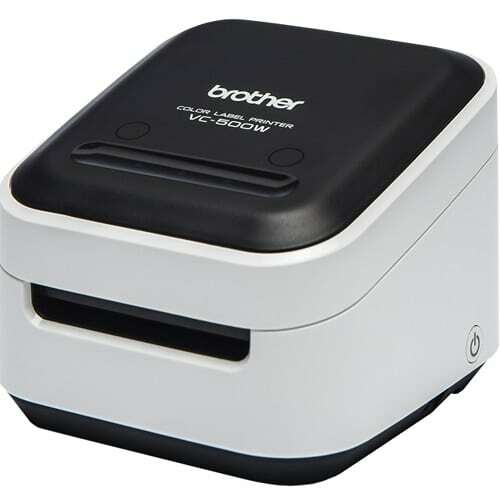 P-touch Editor label design software gives you powerful editing tools to create the ideal label for your workplace and is available as a free download from Brother solutions website. VC-500W full colour label printer, CZ-1004 25mm cassette roll, CK-1000 50mm cleaning cassette roll, AC adapter, Power cable, USB cable, Documentation.